The front wheel can come loose during use and cause the stroller to tip over, posing a fall and injury hazard to children in the stroller and adults pushing the stroller. 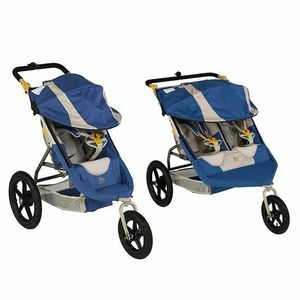 There have been three reported incidents with these recalled strollers, including cuts, scrapes, and fractured bones to adults, and minor cuts and scrapes to children. Juvenile product stores and sporting goods stores nationwide and by Web retailers, including www.kelty.com, from January 2010 through February 2012 for between $375 and $475. Immediately stop using the recalled strollers and contact Kelty to receive free updated assembly and maintenance instructions. For additional information, contact Kelty toll-free at (866) 349-7225 between 8 a.m. and 4 p.m. MT, or visit the firm's website at www.kelty.com.